Avis Budget Group Inc, the car rental company, is going to purchase Zipcar Inc for close to $500 million. The transaction will catapult Avis ahead of Hertz Global Holdings Inc and Enterprise Holdings Inc to the number one spot in the car-sharing market in the United States, according to Reuters. “We see car sharing as highly complementary to traditional car rental, with rapid growth potential and representing a scalable opportunity for us as a combined company,” Avis Chief Executive Ronald Nelson said. In the United States, Zipcar has control of roughly 75 percent of the $400 million industry of car-sharing. Nelson said that the industry is projected to hit $10 billion over the coming years during a conference call with analysts. The demand for car-sharing has increased with the rising costs of gasoline prices, which has led Enterprise and Hertz to jump into the fray. The car-sharing business of Zipcar is close to five times larger than the car-sharing services offered by Enterprise and Hertz, according to analyst Kerry Rice of Needham & Co.
Rice noted that the transaction is going to put Avis atop the leader board in the car-sharing market in the United States. In August, when Hertz purchased Dollar Thrifty Automotive Group, the company secured the number two position in the industry. This dropped Avis to number three in the U.S. car rental industry, which is worth $22 billion. In 2010, Avis issued a bid for Dollar Thrifty, but then decided to leave the bidding war. The car-sharing industry was pioneered in the United States by Zipcar, which burst onto the scene some 10 years ago. Customers can rent cars hourly or daily and are permitted to park in designated reserved parking spots. In April of 2011, the company went public and raised over $174 million. The deal should be finalized in the spring of 2013 and will increase the earnings of Avis and should generate anywhere from $50 million to $70 million in annual synergies. 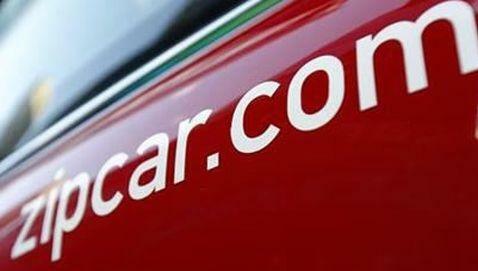 The chief of the unit will remain Scott Griffith and Zipcar is going to operate as a unit of Avis. Available cash and additional debt will fund the transaction. As of September 30, the company said it had $554 million in cash and marketable securities. There are over 760,000 members of Zipcar and they are known as Zipsters. The company has a presence in 20 cities across the United States, in Canada and in Europe. Zipcar is being advised by Morgan Stanley and Avis is being advised by Citigroup in the transaction.